Almost every mechanical development that we see around us is accomplished by an electric motor. Electric machines are a method of converting energy. Motors take electrical energy and produce mechanical energy. Electric motors are utilized to power hundreds of devices we use in everyday life. Electric motors are broadly classified into two different categories: Direct Current (DC) motor and Alternating Current (AC) motor. In this article we are going to discuss about the DC motor and its working. And also how a gear DC motors works. A DC motor is an electric motor that runs on direct current power. In any electric motor, operation is dependent upon simple electromagnetism. A current carrying conductor generates a magnetic field, when this is then placed in an external magnetic field, it will encounter a force proportional to the current in the conductor and to the strength of the external magnetic field.It is a device which converts electrical energy to mechanical energy. It works on the fact that a current carrying conductor placed in a magnetic field experiences a force which causes it to rotate with respect to its original position. Practical DC Motor consists of field windings to provide the magnetic flux and armature which acts as the conductor. The input of a brushless DC motor is current/voltage and its output is torque. 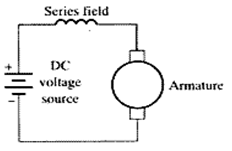 Understanding the operation of DC motor is very simple from a basic diagram is shown in below. DC motor basically consist two main parts. 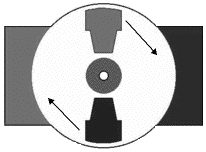 The rotating part is called the rotor and the stationary part is also called the stator. The rotor rotates with respect to the stator. The rotor consists of windings, the windings being electrically associated with the commutator. The geometry of the brushes, commutator contacts and rotor windings are such that when power is applied, the polarities of the energized winding and the stator magnets are misaligned and the rotor will turn until it is very nearly straightened with the stator’s field magnets. As the rotor reaches alignment, the brushes move to the next commutator contacts and energize the next winding. The rotation reverses the direction of current through the rotor winding, prompting a flip of the rotor’s magnetic field, driving it to keep rotating. Microcontrollers can’t drive the motors directly. So we need some kind of drivers to control the speed and direction of motors. The motor drivers will acts as interfacing devices between microcontrollers and motors. Motor drivers will act as current amplifiers since they take a low current control signal and provide a high current signal. This high current signal is used to drive the motors. Using L293D chip is the easy way for controlling the motor using microcontroller. It contains two H-bridge driver circuits internally. This chip is designed to control two motors. L293D has two sets of arrangements where 1 set has input 1, input 2, output1,output 2, with enable pin while other set has input 3, input 4, output 3, output 4 with other enable pin. 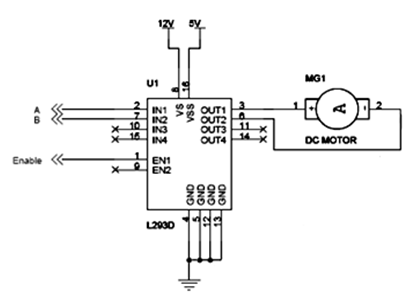 Here is an example of DC motor which is interfaced with L293D microcontroller. If pin no 2 and 7 are high then pin no 3 and 6 are also high. If enable 1 and pin number 2 are high leaving pin number 7 as low then the motor rotates in forward direction. If enable 1 and pin number 7 are high leaving pin number 2 as low then the motor rotates in reverse direction. Today dc motors are still found in many applications as small as toys and disk drives or in large sizes to operate steel rolling mills and paper machines. Thus the torque is directly proportional to the armature current. Also speed varies with armature current, hence indirectly torque and speed of a motor are dependant on each other. For a DC shunt motor, speed remains almost constant even if torque increases from no load to full load. For a DC series motor, speed decreases as torque increases from no load to full load. Changing flux by controlling the current through field winding- Flux Control method. By this method, speed is controlled above its rated speed. Armature Voltage Control – Provides speed control below its normal speed. Supply Voltage Control – Provides speed control in both directions. As a motor in forward or clockwise direction. As a generator in forward direction. As a motor in reverse or anticlockwise direction. As a generator in reverse direction. 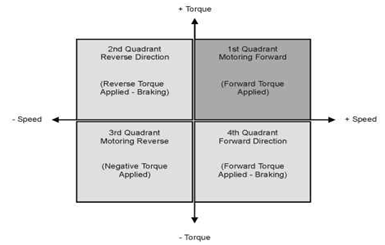 In the first quadrant, motor is driving the load with both the speed and torque in positive direction. In the third quadrant, motor drives the load with speed and torque in negative direction. In the 4th quadrant, motor acts a generator in reverse mode. In the first and third quadrant, motor acts in both forward and reverse directions. For example, motors in cranes to lift the load and also put it down. In the second and fourth quadrant, motor acts as a generator in forward and reverse directions respectively and provides energy back to the power source. Thus the way to control a motor operation, to make it operate in any of the 4 quadrants is by controlling its speed and direction of rotation. Speed is controlled either by varying the armature voltage or weakening the field. The torque direction or direction of rotation is controlled by varying the extent to which applied voltage is greater than or less than the back emf. 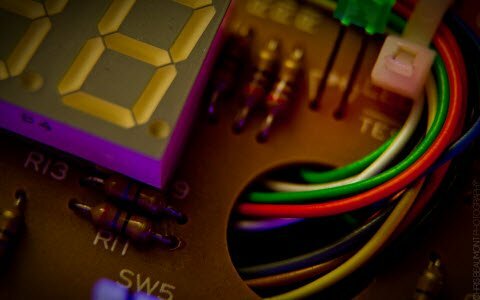 Control of DC motor operation in 4 quadrants can be achieved using a Microcontroller interfaced to 7 switches. Case1: When start and clockwise switch is pressed, the logic in Microcontroller gives a output of logic low to pin 7 and logic high to pin2, making the motor rotate in clockwise direction and operate in 1st quadrant. The speed of the motor can be varied by pressing the pwm switch, causing a application of pulses of varying duration to the enable pin of the driver IC, thus varying the applied voltage. Case 2: When forward brake is pressed, Microcontroller logic applies logic low to pin7 and logic high to pin 2 and the motor tends to operate in its reverse direction, causing it to stop instantly. In a similar way, pressing the anti clockwise switch causes the motor to move in reverse direction, i.e. operate in 3rd quadrant and pressing the reverse brake switch causes the motor to stop instantly. 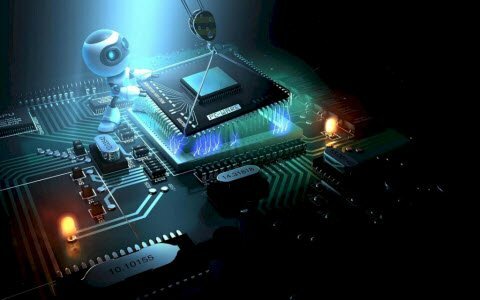 Thus through proper programming of the microcontroller and through switches, the motor operation can be controlled in each direction. 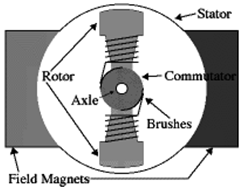 Geared motors tend to reduce the speed of the motor but with a corresponding increase in torque. This property comes in handy, as DC motors can rotate at speeds much too fast for an electronic device to makes use of. Geared motors commonly consist of a DC brush motor and a gearbox attached to the shaft. Motors are distinguished as a geared by two connected units. It has many applications due to its cost of designing, reduces the complexity and constructing applications such as industrial equipment, actuators, medical tools and robotics. No good robot can ever be built without gears. All things considered, a good understanding of how gears affect parameters such as torque and velocity are very important. Gears work on the principle of mechanical advantage. This implies that by using distinctive gear diameters, we can exchange between rotational velocity and torque. Robots do not have a desirable speed to torque ratio. In robotics, torque is better than speed. With gears, it is possible to exchange the high velocity with a better torque. The increase in torque is inversely proportional to the reduction in speed. Speed reduction in gears comprises of a little gear driving a larger gear. There may be few sets of these reduction gear sets in a reduction gear box. 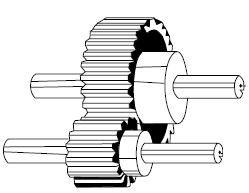 Sometimes the objective of using a gear motor is to reduce the rotating shaft speed of a motor in the device being driven, for example in a small electric clock where the tiny synchronous motor may be turning at 1,200 rpm however is decreased to one rpm to drive the second hand and further reduced in the clock mechanism to drive the minute and hour hands. Here the amount of driving force is irrelevant as long as it is sufficient to overcome the frictional impacts of the clock mechanism. Series motor is a DC series motor where field winding is connected internally in series to the armature winding. The series motor provides high starting torque but must never be run without a load and is able to move very large shaft loads when it is first energized. Series motors are also known as series-wound motor. In series motors, the field windings are associated in series with the armature. The field strength varies with progressions in armature current. At the time its speed is reduced by a load, the series motor advances more excellent torque. Its starting torque is more than different sorts of DC motor. It can also radiate more easily the heat that has built up in the winding due to the large amount of current being carried. Its speed shifts considerably between full-load and no-load. When load is removed, motor speed increases and current through the armature and field coils decreases. Unloaded operation of large machines is hazardous. Current through the armature and field coils decreases, the strength of the flux lines around them weakens. If the strength of the flux lines around the coils were reduced at the same rate as the current flowing through them, both would decrease at the same rate which the motor speed increases. Series Motors can produce enormous turning power, the torque from its idle state. This characteristic makes series motors suitable for small electrical appliances, versatile electric equipments and etc. Series motors are not suitable when a constant speed is needed. The reason is that the velocity of series motors varies greatly with varying load. Shunt motors are shunt DC motors, where the field windings shunted to or are connected in parallel to the armature winding of the motor. 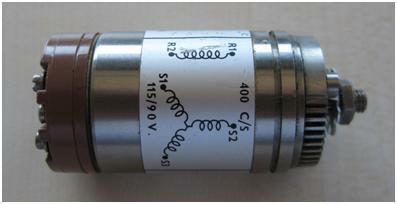 The shunt DC motor is commonly used because of its best speed regulation. Also hence both the armature winding and the field windings are presented to the same supply voltage, however there are discrete branches for the stream of armature current and the field current. A shunt motor has somewhat distinctive working characteristics than a series motor. 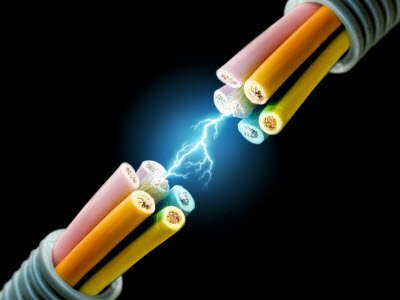 Since the shunt field coil is made of fine wire, it cannot produce the large current for starting like the series field. This implies that the shunt motor has extremely low starting torque, which requires that the shaft load be quite little. When voltage is applied to the shunt motor, a very low amount of current flow through the shunt coil. The armature for the shunt motor is similar to the series motor and it will draw current to produce a strong magnetic field. Due to the interaction of magnetic field around armature and the field produced around the shunt field, the motor starts to rotate. Like the series motor, when the armature begins to turn, it will produce back EMF. The back EMF will cause the current in the armature to begin to diminish to a very small level. The amount of current the armature will draw is directly related to the size of the load when the motor reaches full speed. 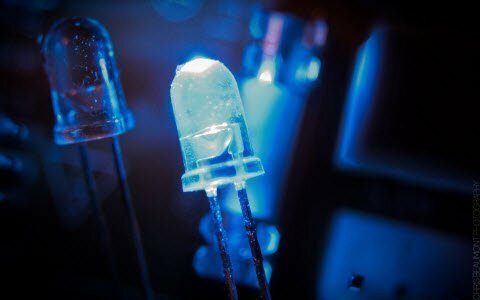 Since the load is generally small, the armature current will be small. Shunt DC motors are very suitable for belt-driven applications. This constant speed motor is used in industrial and automotive applications such as machine tools and winding/unwinding machines where great amount of torque precision is required. 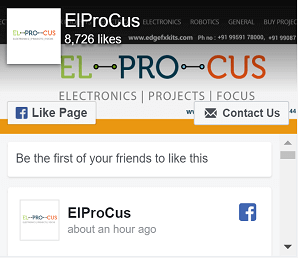 Nice post you can have a look on applications of DC machines here. And also,other information could be shared with you while purchasing of the project.